With topics spanning income, technology, and politics, the Big Problems, Small Planet Playlist brings people at the top of diverse industries together with the goal of learning how to approach the larger-than-life issues of today. Hear from speakers like Harvard psychology professor and New York Times bestselling author Steven Pinker and CNN political analyst and former press secretary for Bernie Sanders Symone Sanders. The speakers in this playlist make up just a fraction of the industry leaders and creative talent in attendance each year at the SXSW Conference. All of our programmed sessions seek to honor SXSW’s original vision — by bringing people from diverse industries and backgrounds together to meet and exchange ideas, share inspiration and develop their careers, SXSW Conference sessions help creative people achieve their goals. Harvard Psychology Professor and New York Times bestselling author Steven Pinker claims marrying hard data to a keen understanding of the human mind makes people safer, freer, healthier, wealthier, and happier now than at any previous time in history, not just in the West, but worldwide. More importantly, he lays out the reasons for how this progress happened and how we should continue it. ENLIGHTENMENT NOW: The Case for Reason, Science, Humanism, and Progress is an elegant assessment of the human condition in the third millennium and a passionate defense of values that people take for granted. 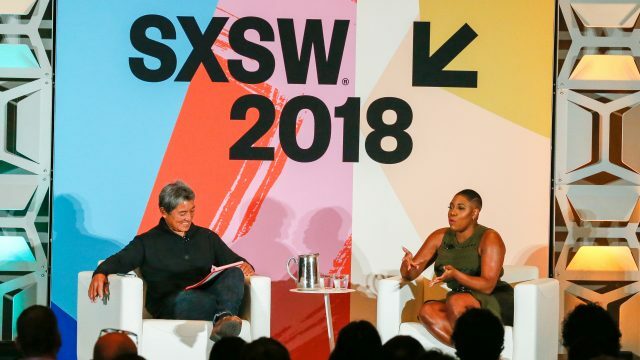 Symone Sanders, CNN political analyst and former national press secretary for Bernie Sanders, joins Guy Kawasaki in explaining how technology and media are changing politics and culture. In other words, you’ll get the inside scoop on how politics and Washington really works — and how they will work in the future too. The relationship between the government, tech, and corporations was broken well before the iPhone encryption fight. Working within a legal framework designed for telcos in the 20th century, the government has had to improvise in ways that antagonized its potential partners in the tech and corporate world. Obama campaign and admin advisor Michael Slaby, IBM’s global threat head Charles Henderson and corporate security expert Misha Govshteyn show us how we got here and what it will take to fix this mess. Should the government give everyone enough money to live on, no strings attached? Will a universal basic income become to the 21st century what political and civil rights were to the 20th, as India’s CEA has speculated? Around the globe, basic income is being promoted as a solution to everything from job-stealing robots to extreme poverty. The Finns are piloting it. The Swiss have voted on it (no, for now). Barack Obama says we need to be talking about it. And in Kenya, the NGO GiveDirectly is running one of the most ambitious social experiments in history to scientifically test it. To see more videos from this playlist, subscribe to the official SXSW Youtube channel. Stay tuned to SXSW News for more SXSW playlist highlights. And don’t forget to register to attend SXSW 2019 to experience inspiring sessions from Keynotes, Featured Speakers, and much more from March 8–17.